Laurie Reid & Benjamin Echeverria. Unique digital photograph, painted oak frame, acrylic 2011 39.5 x 23.5 inches. 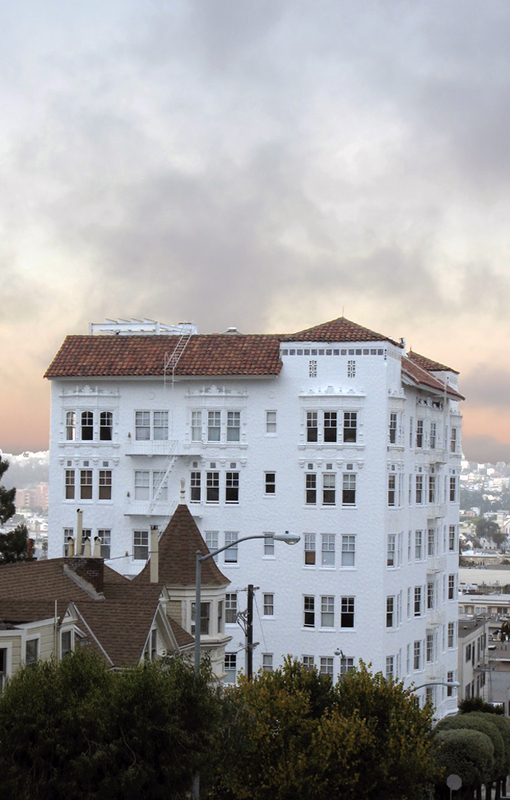 [ 2nd floor projects ] San Francisco was founded in 2007, and is curated by artist Margaret Tedesco, and pairs writers with exhibitions and publishes hand-crafted broadsheets and chapbook limited editions. How is the project operated? For-profit, non-profit, artist-run, etc. Artist-run, out of my home. To continue a dialogue and exchange outside the traditional gallery settings. Margaret Tedesco, artist and curator. Number and average duration of exhibitions/events per year. 6-7 exhibitions per year, 6-week runs. Since opening, artist talks, readings, and screenings. Since establishing [ 2nd floor projects ] an artist-run project space in San Francisco in 2007, I have published twenty-six writers in the exhibitions to date, with more forthcoming through 2012-13. My programming includes commissions to writers throughout the country to produce a limited edition: essays, personal narratives, interviews, poetry, or mixed-genre pieces in the form of handcrafted broadsheets or chapbooks. From early on in my art practice, I have been interested in trespassing disciplines. These visual, theoretical, and narrative crossings perhaps address an interstitial space of engagement with the artists’ works from the writer’s point of departure–a distal approach rather than the traditional essay model, such as an exhibition catalogue. For each exhibition, I design and print an in-house limited run of 100. The writers are also invited to give a reading during the course of the exhibition, or to send a recording if they are not in the area. [ 2nd floor projects ] was invited to participate in the NY Art Book Fair in 2009 and 2010. BOMBlog is republishing these pieces chronologically. [ 2nd floor projects ] was awarded Southern Exposure’s Alternative Exposure grant in 2007. It’s working…and more funding would be beneficial. My grassroots approach helps to foster continuation. It’s happening. The space is activated, recognized, appreciated. To continue publishing the writing component to my programming. From On view, 17 September – 30 October 2011. Bruno Fazzolari: Findings, limited edition.